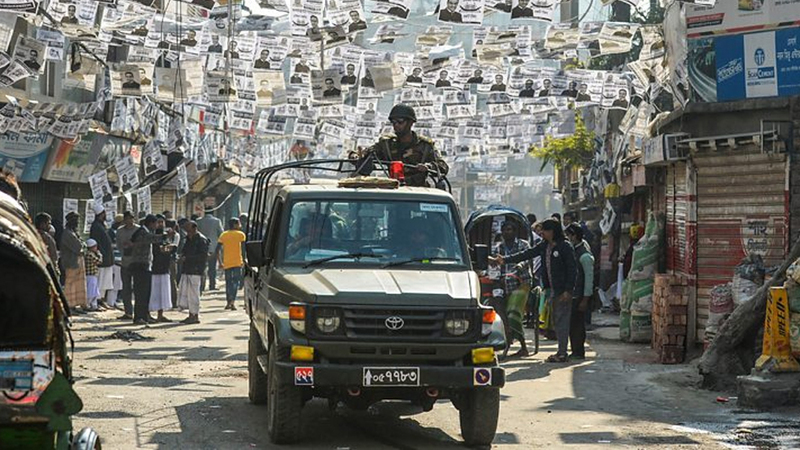 Bangladesh’s opposition has condemned what it has called a (FAR-SEE-KAL) “farcical” election and demanded a new vote. Opposition leader Kamal Hos-sain urges the election commission to void this farcical result immediately. He is demanding that a fresh election is held under a neutral government as early as possible.